Derry have been hit by the retirement of brothers Kevin and Liam Og Hinphey along with Ruairi McCloskey. The experienced trio have stepped down from inter-county hurling, with Kevin Hinphey bringing his Derry career to an end after 14 years. His brother Liam Og made his Oak Leaf debut in 2003 followed by Banagher player McCloskey three years later. 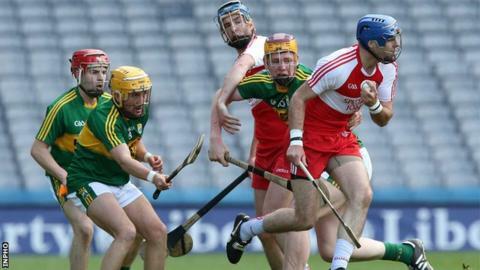 "They have been a pleasure to work - these men gave great service to Derry hurling," said county boss Tom McLean. He added: "They will be a big loss to to the Derry hurling squad, but as time moves on priorities change, and these lads now have wives and young families who need their time. "I would like to wish them and their families good health and happiness in the future, and also good luck with the rest of their hurling careers with their clubs Kevin Lynchs and Banagher."